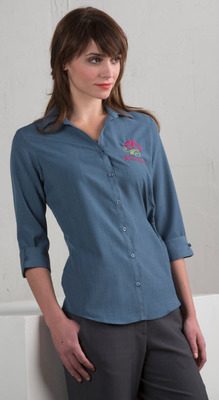 We are pleased to offer you a department dedicated solely to restaurant and banquet shirts for ladies. For women looking to refresh their workplace wardrobe with beautiful design, vibrant colors, and an unmistakably feminine touch. Ladies Vests, Jackets, and blazers, all designed for the fashionable lady. Great for fine dining restaurants and banquet applications! 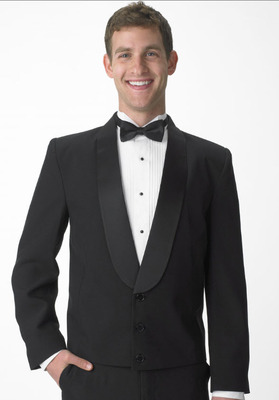 Suit jackets, blazers, Eton jackets coming in many fabrics, colors and styles! 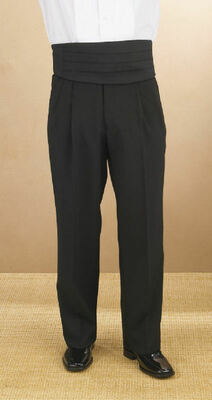 All these long pants, short, skirts, and skorts are specifically designed for women, for a great flatering look! Do we have aprons? Yes in many styles and colors! 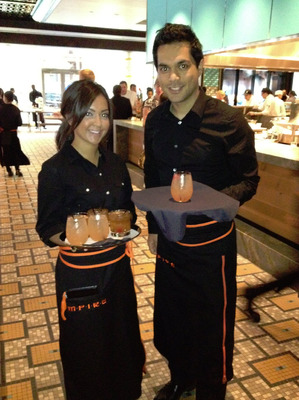 From the small waist restaurant apron, to your fine dining long bistro apron shop Averill's Sharper Uniforms for all your Waiter and Waitress needs. You've invested a lot in your business - from the location itself to marketing your services and even hiring and retaining the best staff possible. So you certainly don't want to skimp when it comes to the finish line and details like what your staff wears to work each day. And, what's more, you don't want to invest in uniforms that won't stand up to the tasks your servers will present each day, only to have to reinvest in a whole new crop of uniforms all over again. 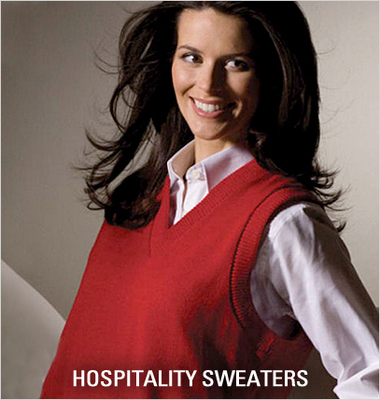 Averill's Sharper Uniforms specializes in serving the hospitality industry, including restaurants, resorts and country clubs in particular. 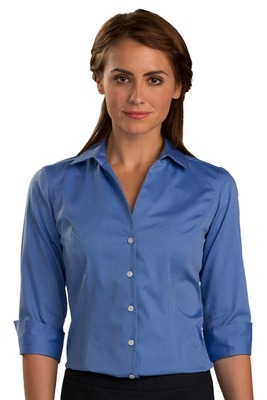 When we say we offer a full line of high-quality uniform options for men and women, we mean it. 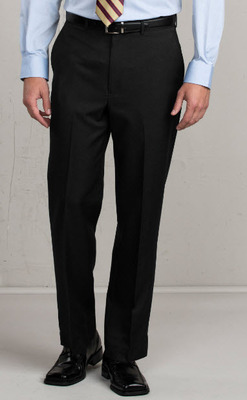 That includes casual to formal and off the shelf to custom. 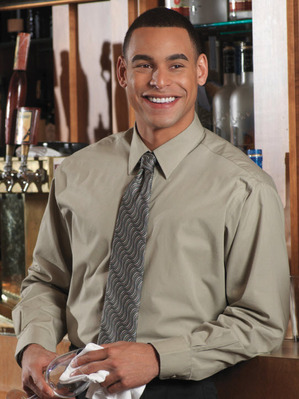 If you have any questions about what uniform is right for your business, don't hesitate to reach out to us. By now, we're truly uniform experts. What's more, this is where you'll find shirts and blouses, cocktail and nightclub blouses, vests and jackets, pants, shorts and skirts for women, as well as shirts, vests, jackets, pants and shorts for men. Averill's Sharper Uniforms also stocks miscellaneous uniform extras for men and women, such as aprons, ties, ascots, scarves, tulips and sweaters. These latter items can really pull a look together sometimes and make all the difference. We only stock merchandise from the highest quality manufacturers, so you can be sure you are investing in uniforms that will last through many, many of even the most grueling shifts. What's more, we offer an amazing array of customization options, such as embroidery, screen print and heat transfer, so you can quickly and easily turn any of these items into your own custom look. 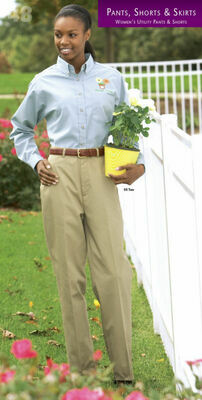 We'll even hem pants at no charge. Available in long, short or three quarter sleeve styles, all styles available in 16 fantastic colors! 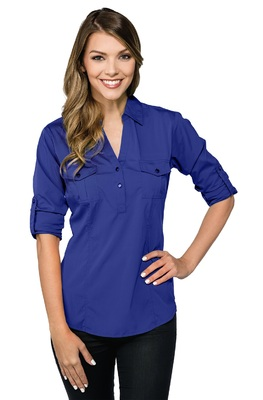 Beautiful stretch 3/4 Sleeve V-Neck blouse, available in nine great colors! Featuring a Flattering Fit, available is five faboulous colors! 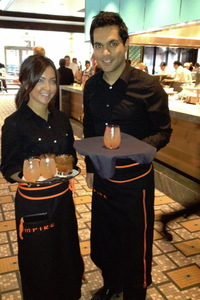 The Cafe Shirt and Banded collar shirts are our most popular shirts for restaurants. The shirt is very light, yet, very durable. 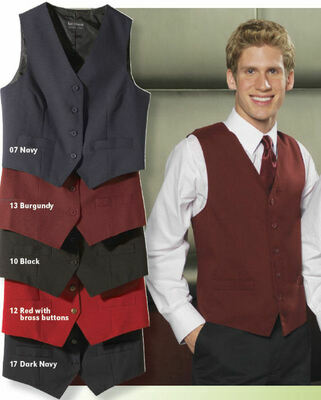 Men's Classic Value Vest. 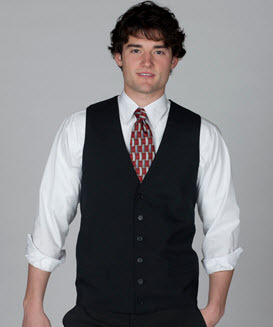 This is our best-selling economy vest. Light yet durable, it is great for all front of the house applications.